MORE ACCESSORIES - For more Blink accessories, please search--" Blink Deeroll "
SPECIALLY NOTE: The Blink cameras or covers are NOT included. If you need the Blink covers, please search for --" Blink Deeroll "
SPECIALLY NOTE: The Blink cameras or covers are not included. 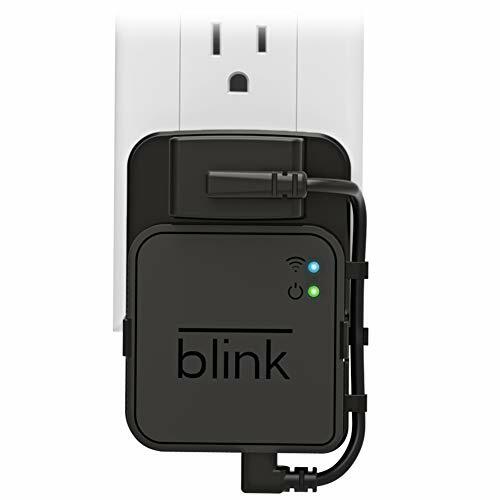 For more Blink accessories such as Blink covers, please search --" Blink Deeroll "
【No Drilling or Tools Needed】This new AC outlet wall mount allows you to install the blink module in seconds without drilling holes or any tools needed. No damage to your house! 【No Cord Dangling Everywhere】Say goodbye to long, ugly wires dangling in your house. 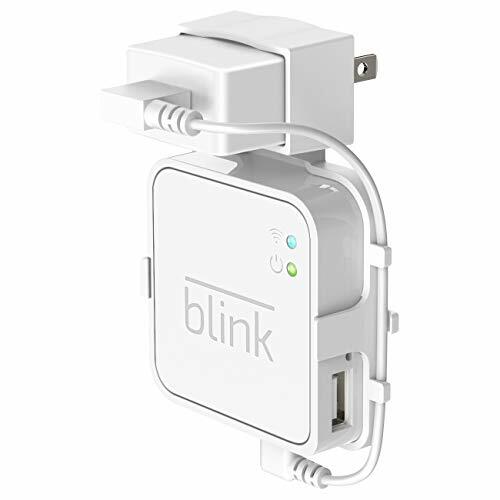 A short (18CM) USB power cord comes with the package to offer a clean and neat installation for your Blink Sync Module. No more messy wires! 【Flexible Installation】Any open AC outlet can be a perfect place to hold the module. Allowing you to move from one place to another. You will have no need to specially make room for this small block. 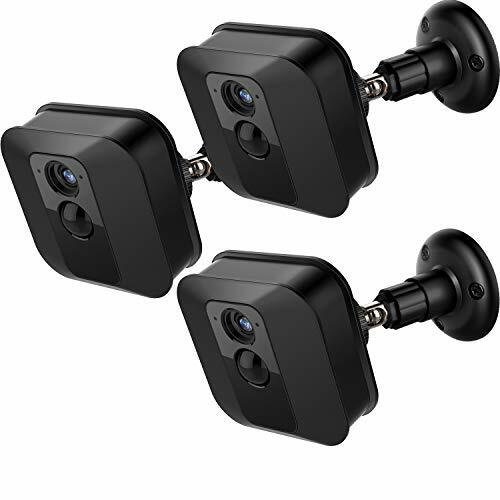 【Precise Match】Compatible with both black and white Blink Sync Module, fits your devices perfectly. The plug-in design will keep it stable in place. 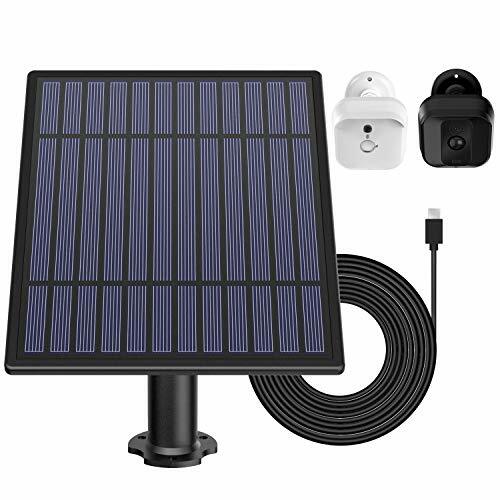 Package Includes:AC outlet wall mount x 1, short USB charging cable x 1, starter guide x 1. 【Quality Guarantee】You are protected by our no-hassle refund service. You can rely on us if anything goes wrong with the package you received. Just send e-mails to us and issue will be clear in 12 hours. 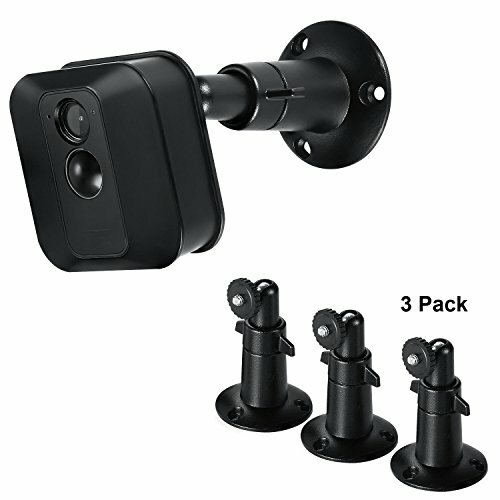 Versatile camera mount - 360 Degree swivel and 90 Degree tilt, adjust it to whatever angle you like. Please note that it is the metal part that can be rotated rather than the plastic nut. 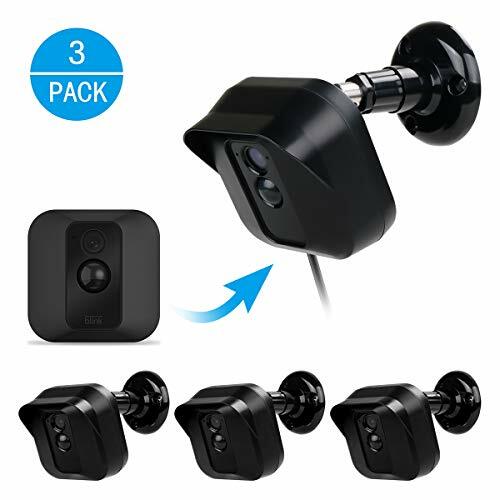 Specially note: The blink cameras or COVERS are not included. 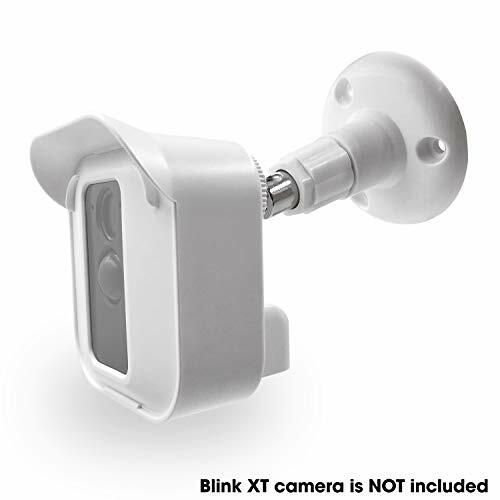 For more Blink accessories such as Blink covers, Please search --" Blink Mount"
[CONNECTOR MOUNT ATTACHMENT] - Use the connector of this Blink camera wall mount to screw into the bottom of the camera. 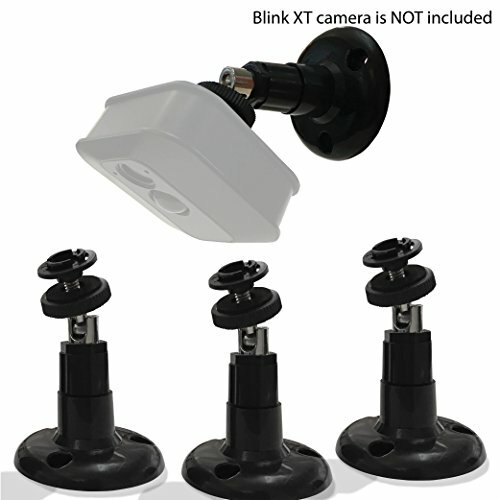 You can also use this Blink stand mount to mount your cell, tablet and gopro camera as long as you have the proper mounting solutions to connect to the 1/4 screw. 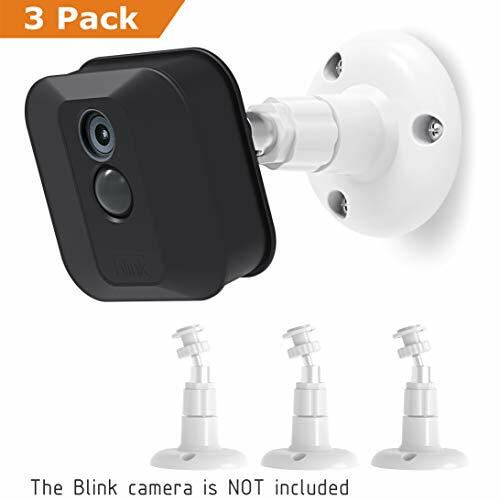 [PLEASE NOTE] - Although this Blink camera ceiling mount is fully adjustble, please preplain your camera angles before installing this camera mounting for Blink. 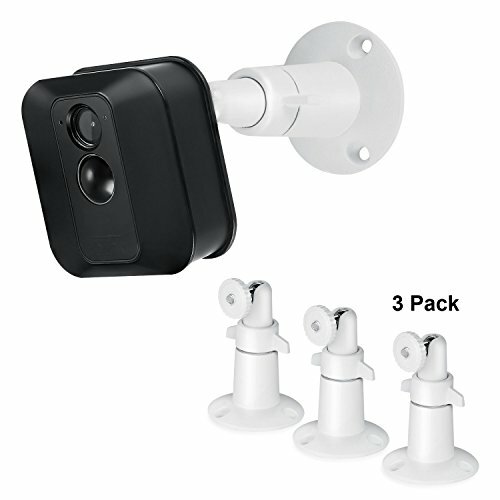 ★★[MAKE SURE TO PURCHASE FROM SULLY to get this best Blink security camera mount around!] 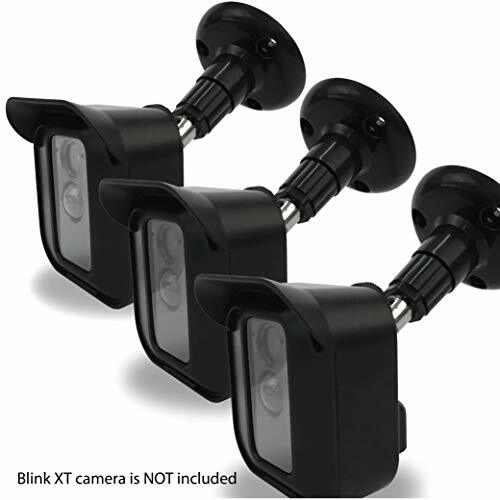 - any other seller will not be selling this blink xt outdoor mount that is reflected on this listing and reviews. 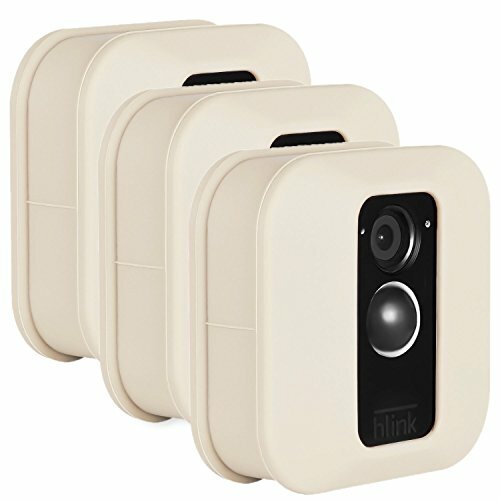 SET THE TREND: Show off your own unique style with MightySkins for your Blink XT Outdoor Camera! Don't like the Castle Unicorns Design? 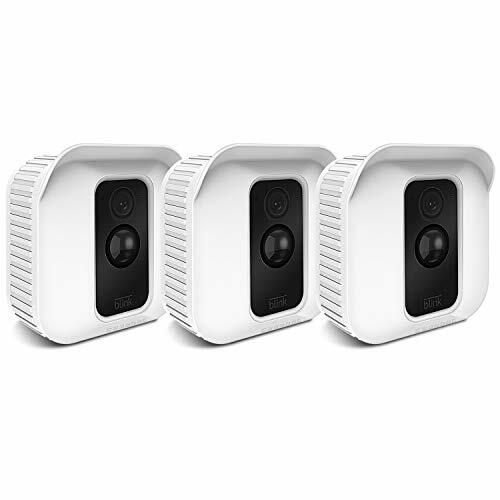 We have hundreds of designs to choose from, so your Blink XT Outdoor Camera will be as unique as you are! 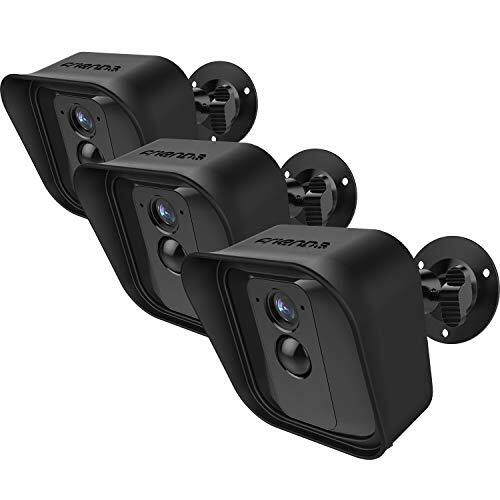 GOES ON AND COMES OFF EASY: Apply your MightySkins vinyl decal easily & with precision on your Blink XT Outdoor Camera thanks to a patented low grip air release adhesive that's built to last but removes easily and leaves no sticky residue when you're ready to switch to a different design! 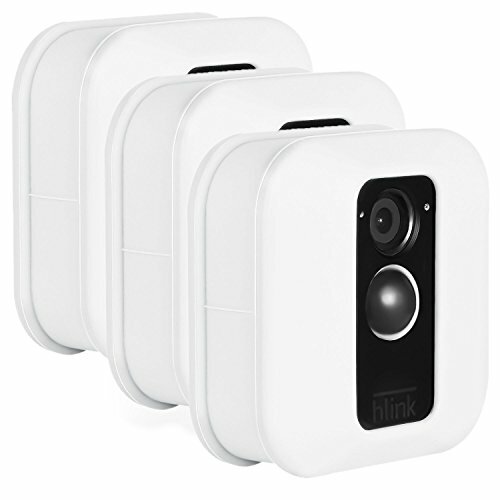 Perfectly designed for Blink XT Home Security Camera, protect your camera from UV light. Designed with extend edge to offer protection for your Blink XT Camera in various weather elements. 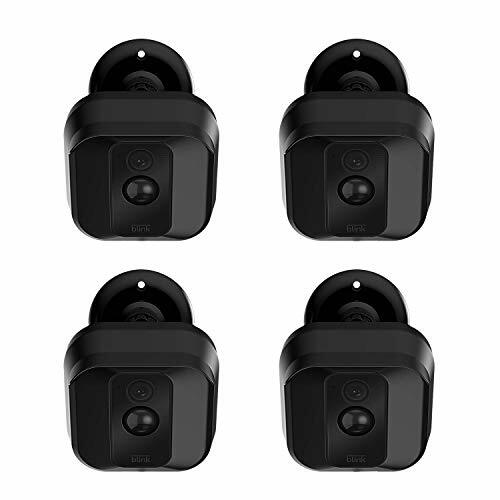 Made of durable slim silicone, the cover is durable enough to protect your camera but thin enough not to affect the mount. Soft and elastic material, easy to slip and replace, allows you to slip on the skins within seconds, snug fit the camera like a glove. 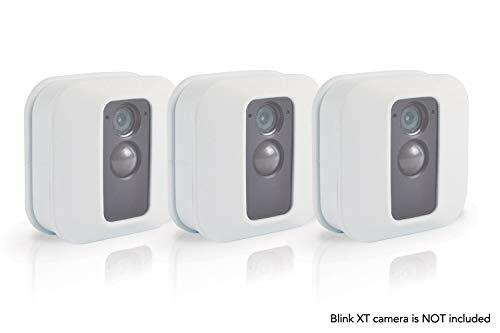 Protect and camouflage your Blink XT Home Security Camera to blend seamlessly to the color tone of the wall, ceiling or other surfaces mounted on. 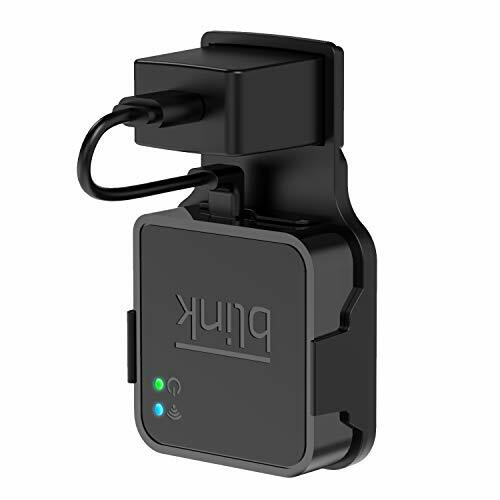 ●EXCLUSIVE DESIGN:This indoor/outdoor wall mount bracket is used for mounting your Bink XT Camera, as well as an XT cover and a mount, protect your Blink xt camera from outdoor impacts such as scratches, dust and smudges. 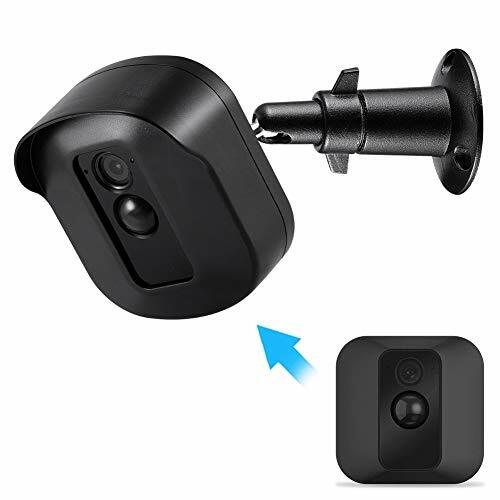 ●180° DEGREE ADJUSTMENT: In order to ensure your household safety completely, this Blink XT camera mount could be adjusted without any blind spot. 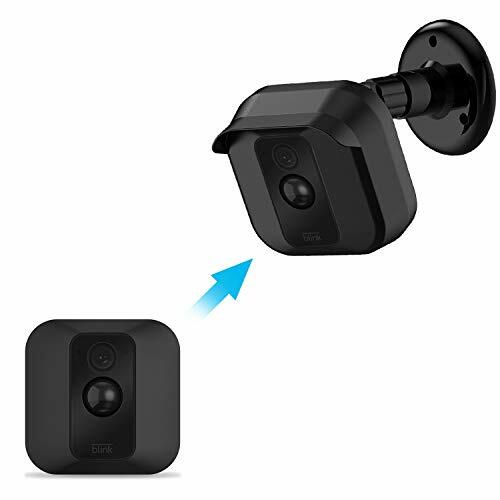 ●STABLE MOUNT BRACKET:Compared with normal Latch-Buckle base, this indoor/outdoor mount bracket makes your Bink XT Camera more stable on wall and ceiling with the screw-fixing base on this bracket. 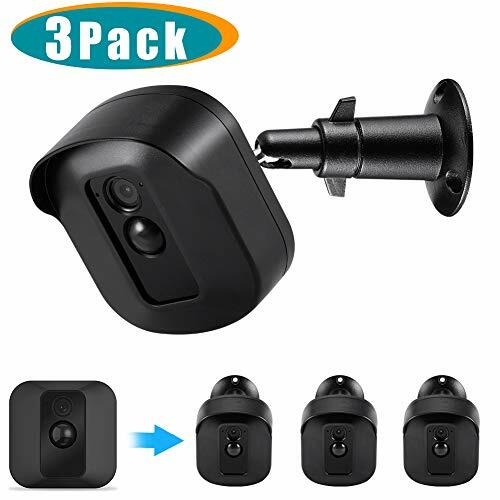 ●DURABLE AND WATERFPROOF: This Blink camera mount made of pure black premium ABS plastic, it's sturdy, durable enough to protect your Blink Camera from all kinds of potential damage and also can protect blink xt camera from strong sun, rain and snow. 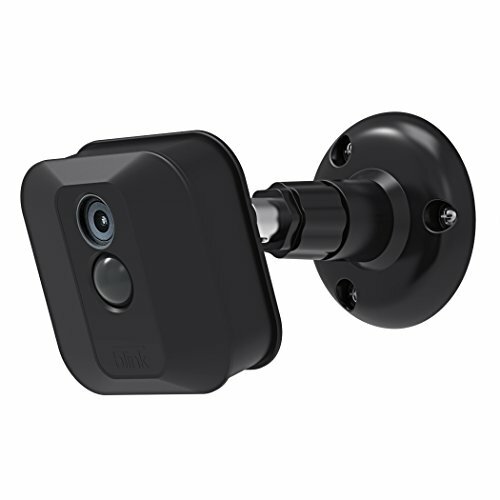 ●NICE APPEARANCE: Because of its special design, it might be matched well and attractive when you use your Bink XT Camera with our indoor/outdoor wall mount bracket. It could also be the best choice for your ouverall household. 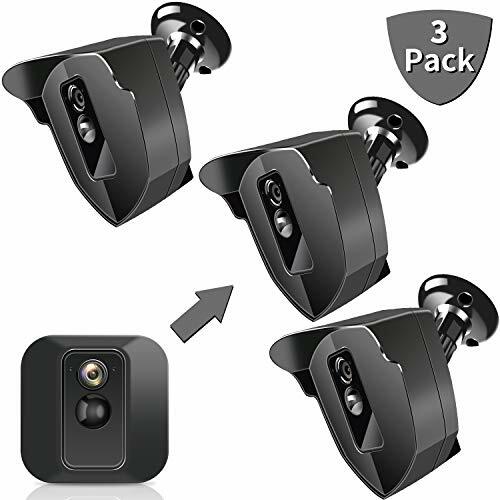 ● Special Design---This wall mount is designed for your Blink XT Camera,which extends 3.8 inches from the mounting surface for better adjustment experience. 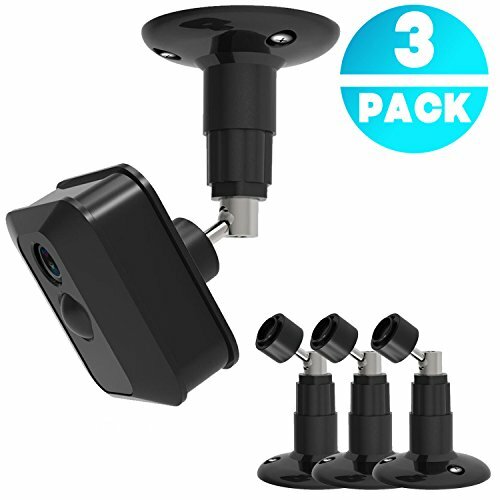 ● 360° Rotation Adjustment---Provide 360° rotating viewing angle and 180 degree tilt ensure your camera monitor in an all-round way without blind spot left and can adjust it whatever angle you like. 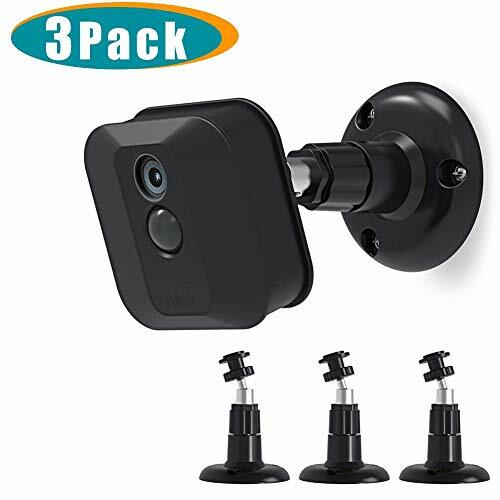 ● Easy installation---Each camera mount has 4 screws and wall anchors,it is simple to press the camera in or out on the fixed bracket(only bracket,camera not included). ● Stable and durable enough---Made of high grade plastic to protect your Blink XT camera work in all condition. 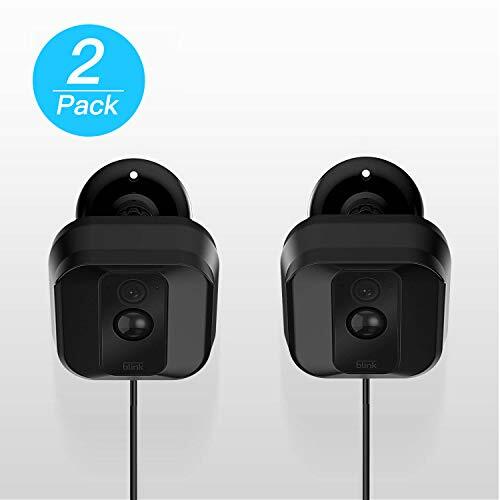 ● 100% satisfaction guarantee--- If for any reason you're not SATISFIED,full refund and if any questions,write to us and we will reply you within 12 hours. 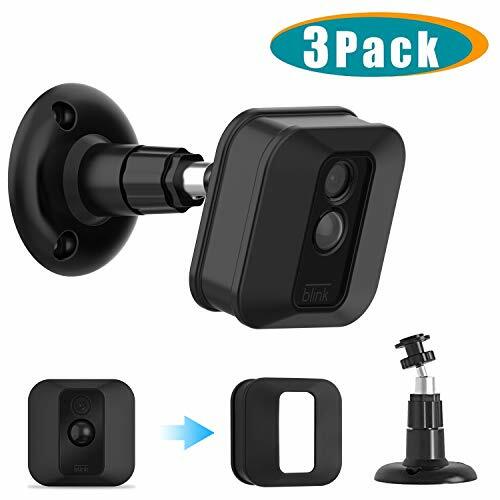 Special Design---This wall mount is designed for your Blink XT Camera,which extends 3.8 inches from the mounting surface for better adjustment experience. 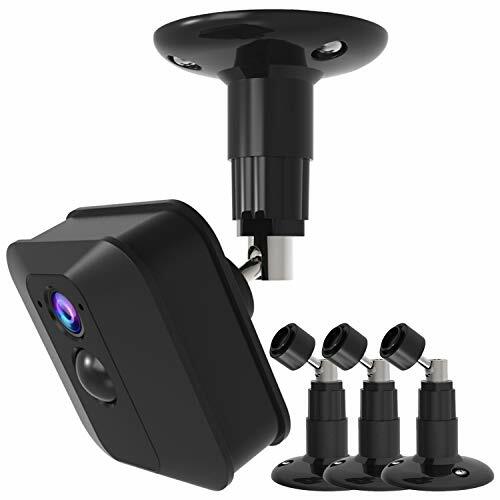 360° Rotation Adjustment---Provide 360° rotating viewing angle and 180 degree tilt ensure your camera monitor in an all-round way without blind spot left and can adjust it whatever angle you like. 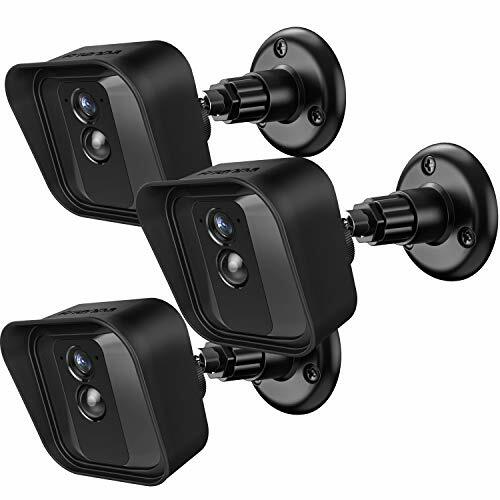 Easy installation---Each camera mount has 4 screws and wall anchors,it is simple to press the camera in or out on the fixed bracket(only bracket,camera not included). Stable and durable enough---Made of high grade plastic to protect your Blink XT camera work in all condition. 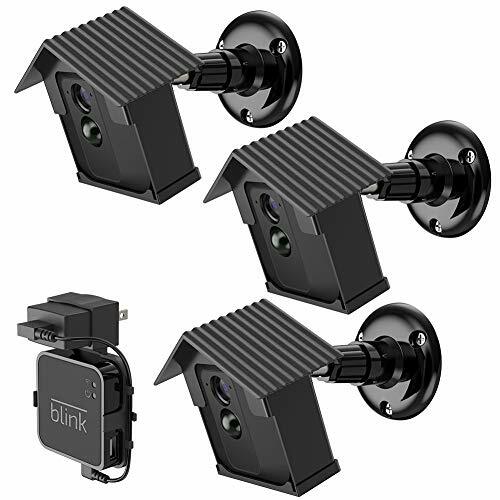 ✔ WASSERSTEIN SAVINGS FOR BLINK ACCESSORIES - Realize huge savings when you buy two or more of our Blink Accessories - Use discount code 'BLIKDEAL' at the checkout. 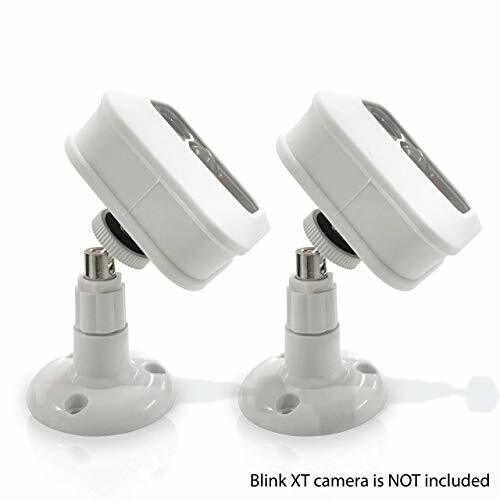 Other Blink Accessories include weatherproof power cable (ASIN: B07FCM4C6H, B07FCKB1JT), protective silicone skins (ASIN: B07DLBPN91, B07DL79PMH, B07DL9KW5H, B07DL6FZP8) and suction cup mounts (ASIN: B07DL9HKH5, B07DL63DJY). 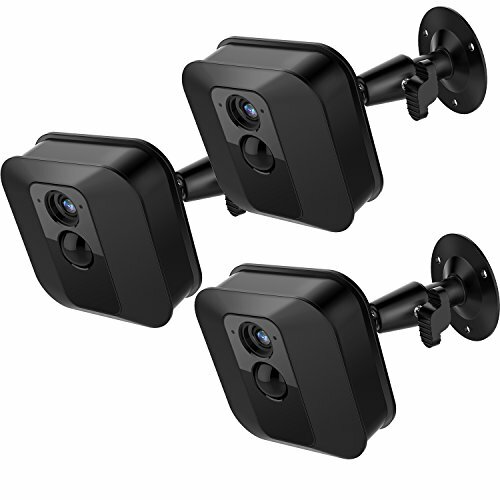 【Exclusive Design】：This indoor/outdoor wall mount is compatible with your Blink XT Camera,consists of a mount and a roof ABS cover. 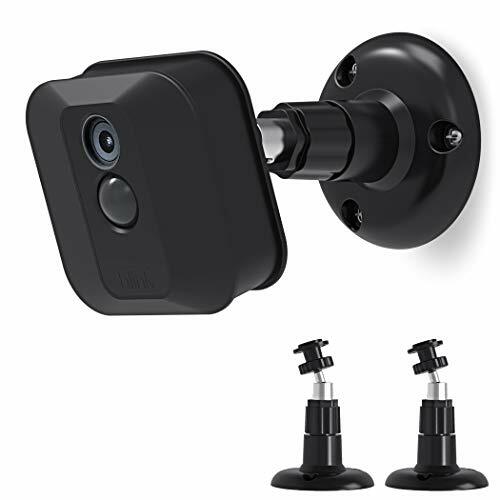 【360° Perfect swivel& 90° Tilt】: This mount bracket can Provide 360°rotating viewing angle start monitoring your property more effectively by always getting the right angle. 【Strong protection】: Unique design with extend edge built in shade use to reduce influence and block the camera from weather element, capable of shielding rain, sunshine, dust, sand and snow. 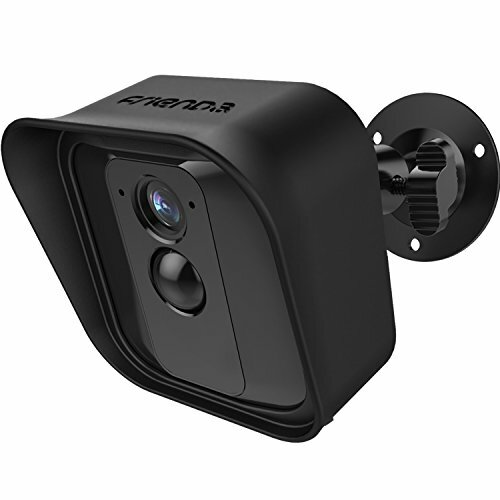 【Strong stability】: Made of plastic with metal material,your camera can be stable fixed to the wall and mount by a screw-fixing base. 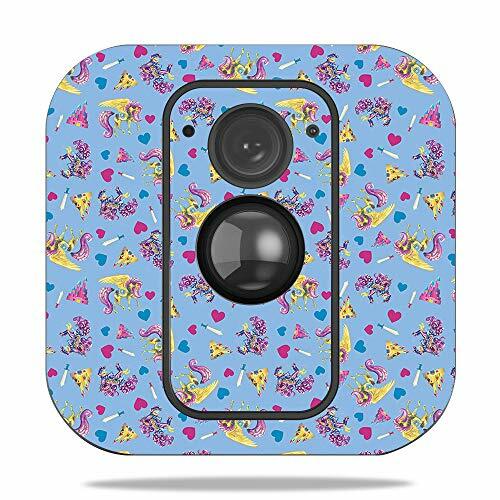 【Decorate your camera】: Fashion roof design is perfect for decorating your room and living room, making your camera more beautiful and attractive. 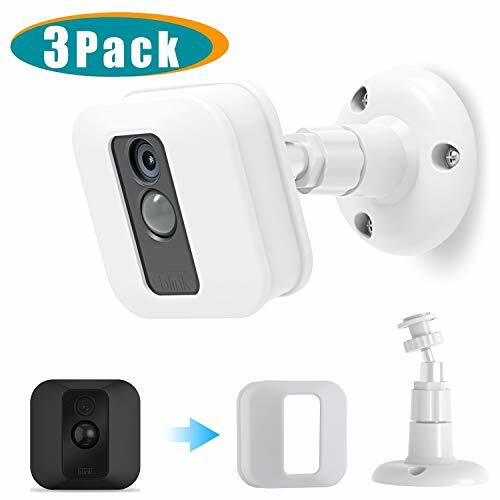 ★ Specially designed for Blink XT Outdoor Camera: This indoor/outdoor wall or ceiling mount is specially designed for Blink XT Outdoor Camera Security System. Please kindly note that camera is NOT included. 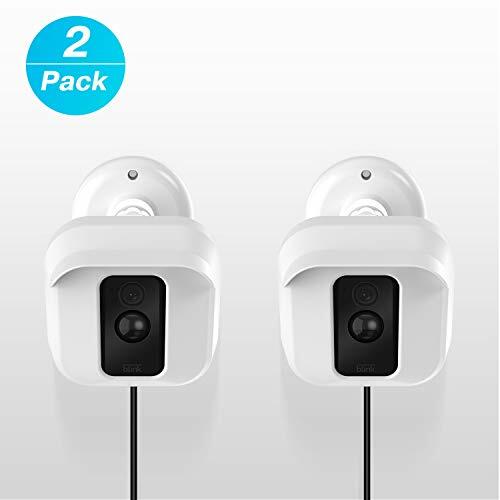 ★ Premium Material: Made of sturdy ABS plastic and rust-resistant aluminum, more stable and durable, ensuring your security camera stays securely attached throughout your wall. 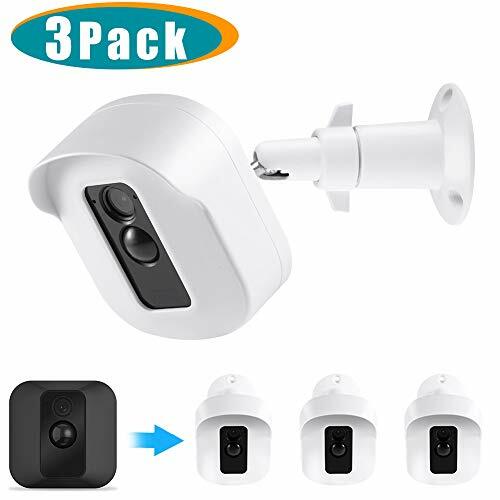 ★ Easy to Install: Comes with screws, very easy for you to mount your security camera in the living room, the baby room, the garage, the balcony or anywhere you need. 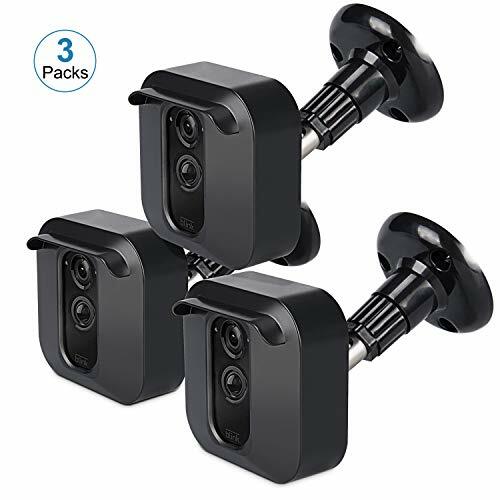 ★ Versatile Use: These mounts allow you to mount your security cameras on ceilings or walls, and you can easily adjustable with 360-degree swivel and 90-degree tilt, providing you the best viewing angle. 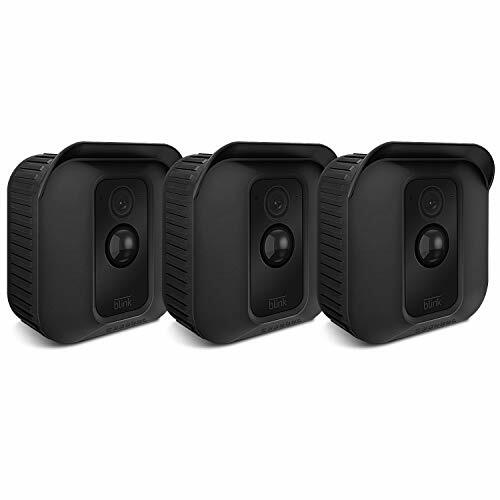 ★ Secure Protection: Comes with Housing Covers to protect your camera from scratches, dust and smudges. The hood at the front of this blink camera cover can protect your Blink camera from rain, snow or strong glare. 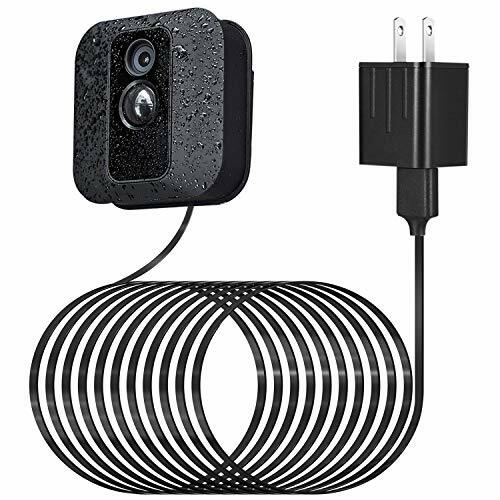 NO NEED CHANGE THE BATTERY: 5V/1A power adapter with 25 ft/ 7.5 m cable keep charging your Blink XT Security Camera continuously, you never change the battery any more. 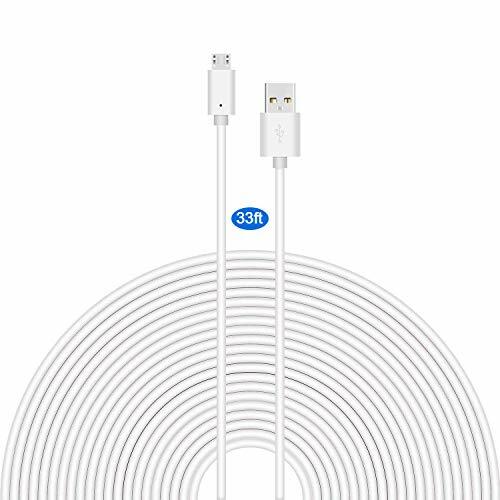 LONG & FLAT CABLE: 25 ft/7.5 m extra-long cable, long enough for you to keep the camera at home or outside, even if it is far away from the plug. Cable is flat so that you can run it through a window and still close the window very well. 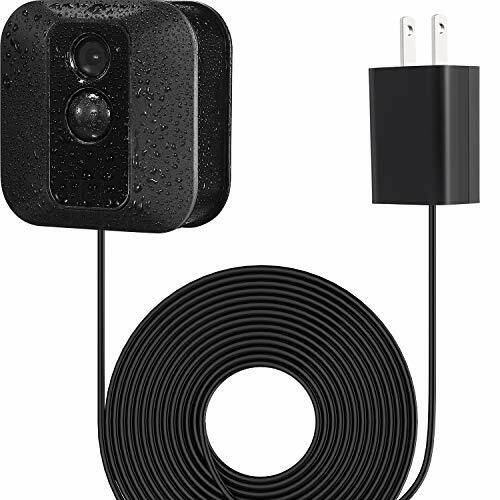 WATERPROOF PROTECTION: the micro-USB head is made of soft PVC material that expands slightly when inserted into the camera opening, fits into the Blink XT camera very tightly to effectively keep it weatherproof. 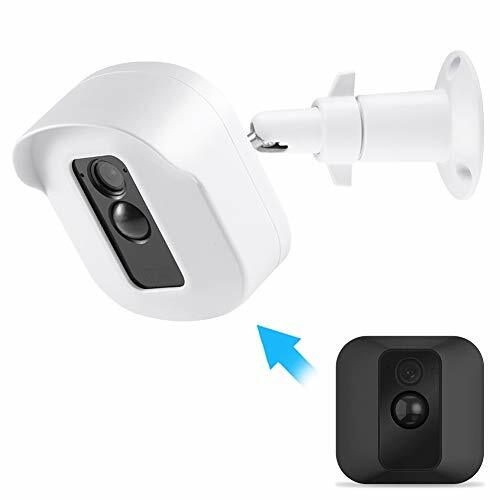 EASY INSTALLATION: You just open the back part of the micro USB protective cover and plug the USB cable into Blink XT camera, easy and convenient. 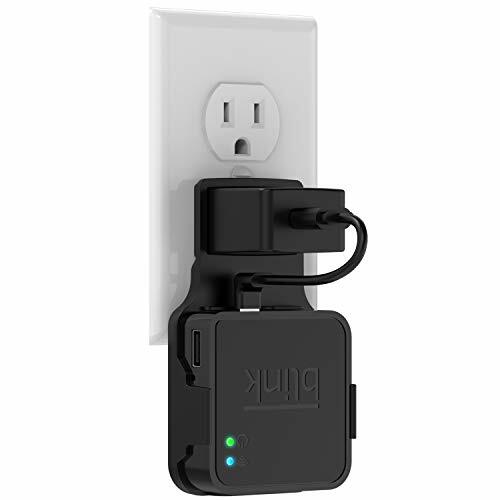 OUR PROMISE: 30 DAY NO HASSLE RETURN/REFUND for this blink XT power adapter! 100% Risk free purchase: You will be 100% satisfied or we'll give your money back. If you do not like this power adapter, feel free to contact us, we'll spare no efforts to satisfy you. 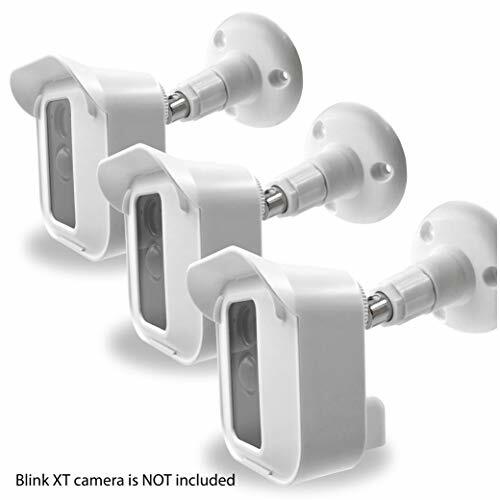 -Exclusive design for Blink XT Camera with steady and safe charging process. 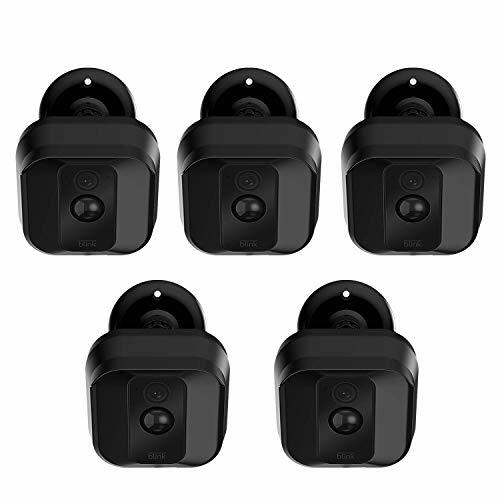 Directly charging your Blink Security Camera device even without installing backup battery.it will be the best "Power Bank" for Your Blink Device. 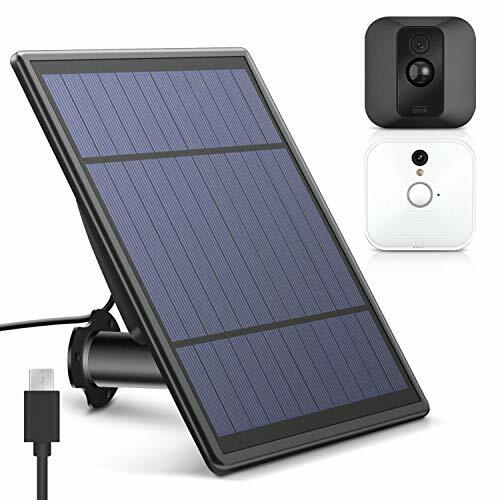 -Adapt PET full waterproof polysilicon solar panel and low-power power management module. 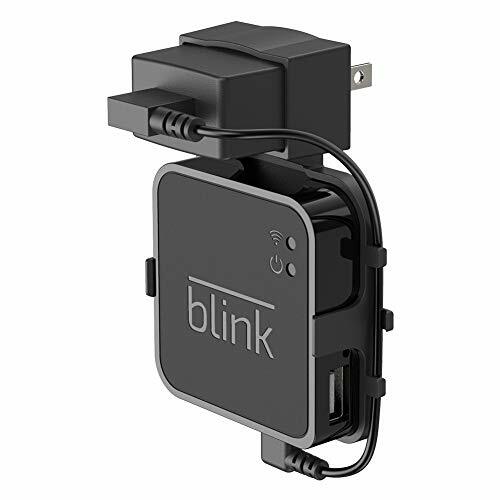 Keep charging your Blink Device for several month even in bad weather condition like rain, snow, dust, etc. -Equipped with high quality 9.62WH battery(just one battery) and 8ft/3m charging cord to provide best charging environment. It can charge your Blink device continuously up to 23 days in total dark environment and 103 days in cloudy and rainy weather condition.